Make a distinct vogue statement wearing this jacket from the house of MansiCollections. 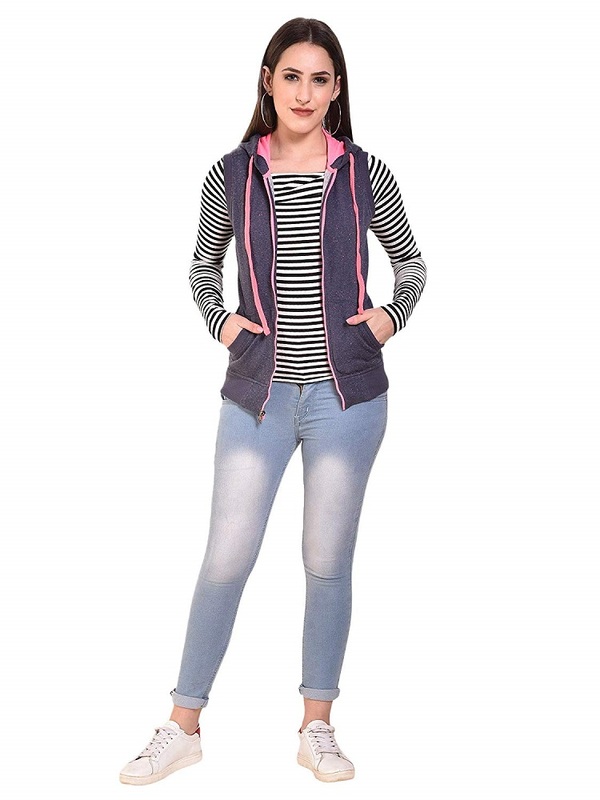 This jacket for girls ensures great comfort all day long. 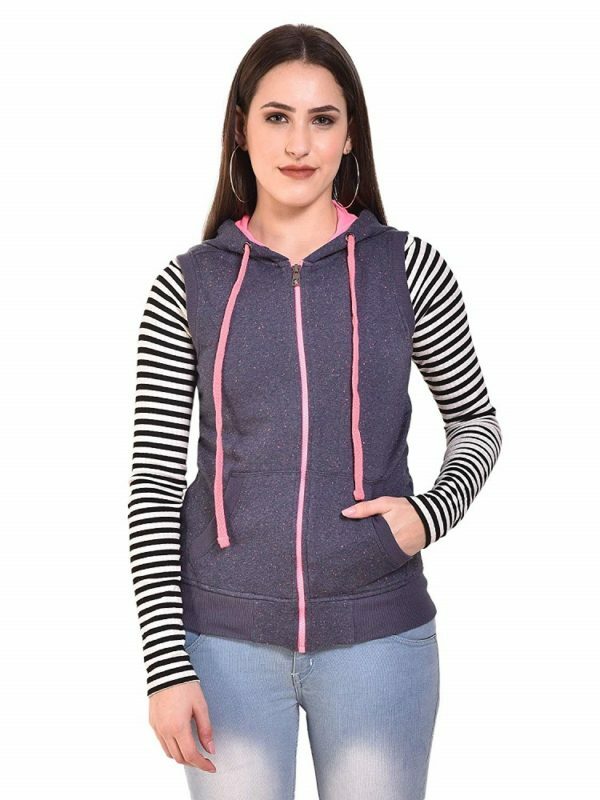 Having spherical collar connected hoodie with drawstring, zip in front closure and a pair of side pockets. This product is created with printed irregular texture which is part of its distinctive charm. Made of 70% cotton and 30% polyester. Make a definite style statement sporting this jacket from the house of MansiCollections. This jacket for women ensures great comfort all day long. 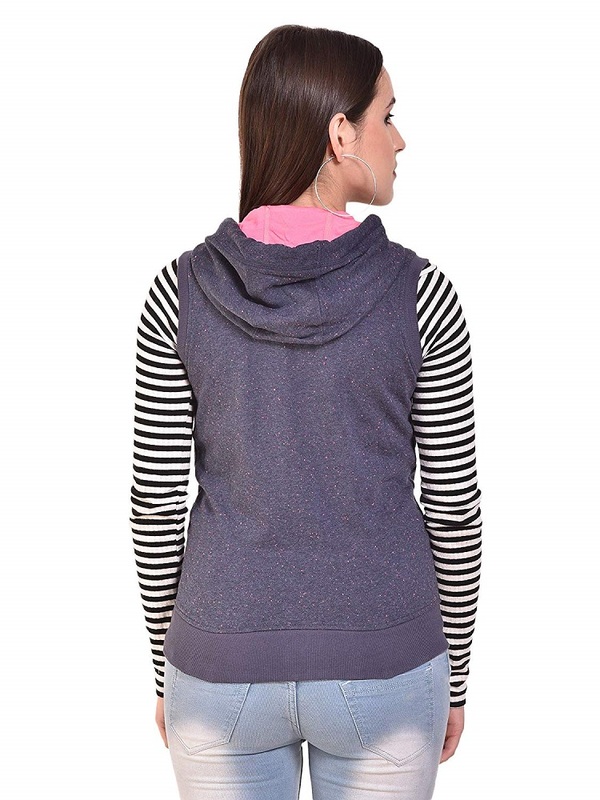 Having spherical collar attached hoodie with drawstring, Zip in front closure and 2 aspect pockets. This product is created with printed irregular texture which is part of its distinctive charm. Made of 70% cotton and 30% polyester.